Triathlons are no ordinary sporting event. They challenge you mentally and physically across a trio of sports. For events of this level, you have to be serious about your training from the outset. It isn’t enough to just wing it, proper planning and monitoring can’t be overlooked. One of the areas you need to monitor is your heart rate, so it’s important to have a great, accurate heart rate monitor. Our overall pick would be the Garmin Forerunner 935. These trackers are ranked based on their abilities as heart rate monitors. Other features are considered a bonus though they don’t make up for poor performance in the tracking area. If you’re looking for something ranked on its’ overall ability as a watch, check out our guide to the best triathlete fitness watches. 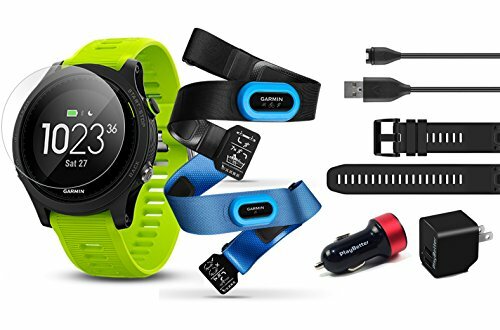 Garmin are popular and trusted creators of fitness watches. They set a high benchmark, so it’s no surprise the top recommendation goes to their Forerunner 935. 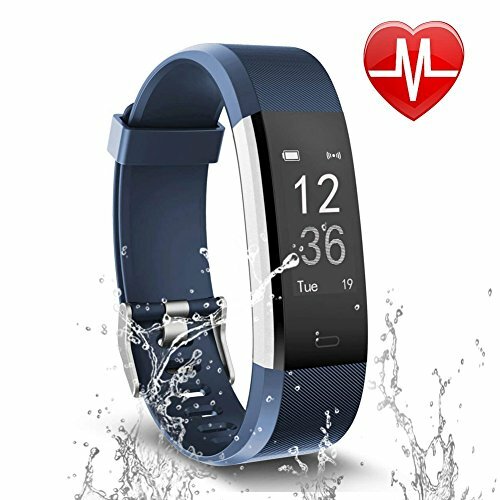 It does a reliable job of heart monitoring via a wrist sensor and has plenty of other features too, including extremely accurate GPS location technology and data storage. 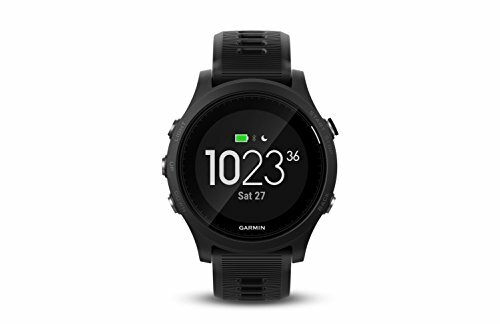 If you’re interested in Garmin watches and want to check out some alternatives, take a look at our guide to the best Garmin watches for triathletes! Most people would be surprised at a watch being the top pick purely because chest straps are considered more accurate. Garmin 935 is compatible with certain chest straps though, so it gives the best of both worlds. Recommended are the HRM-Tri and HRM-Swim belts, giving waterproof ability alongside comfort and function. Battery life is massive on this watch, giving 2 weeks of performance in watch mode. The battery runs out quicker when in full-on tracking mode of course, though it’s still got more juice than many other watches and monitors. Garmin are known for their smart and durable design across all ranges. This case is no exception, with reinforced polymers and chemically strengthened glass forming the body whilst a silicone strap gives extra reliability and a good amount of flex for comfort. It’s comfortable to wear and light enough to pretty much ignore. The Forerunner 935 looks great when compared to alternatives. On looks alone, it would be tough to beat in either the heart monitor category, or the watch category. The rounded stylish face and the fact the digital display is high quality and customizable make it massively fashionable. With the chest strap monitoring becomes incredibly accurate. Even without it though the watch can hold its own, being unbeaten as a wrist based heart rate monitor. The chest strap addition is also top quality and maintains this high standard. There’s so much more to the Garmin Forerunner 935 than heart rate monitoring. 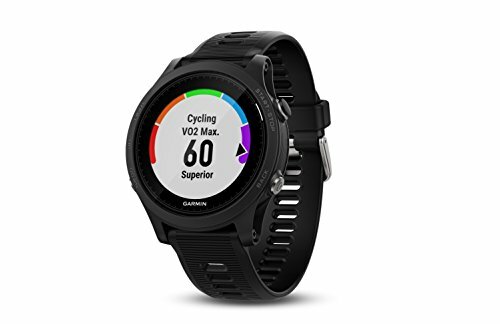 It’s capable of being a great all around triathlon watch, able to give you all sorts of data on your training, including a lap counter for swimming pool work and a highly sophisticated and accurate location system. The system combines an advanced accelerometer and altimeter with accurate GPS to give precise information on distances and speeds. The price is the main reason most people don’t go straight for this option. There are other popular options around at a lower price which do a good job too, though they also don’t feature the extra options of the Forerunner 935 and often can’t match it for heart rate tracking either. The difference in performance can be small though, so if limited on funds, there are other options. Neglecting the addition of a chest strap also affects the performance here. Chest straps perform more accurately than wrist monitors can and are therefore preferred by high level athletes. This probably won’t be as big an issue if you’re a novice athlete, so take that into consideration as well. Those who want ultimate performance and tracking ability would do well to consider this feature packed Garmin 935 and chest strap combo. 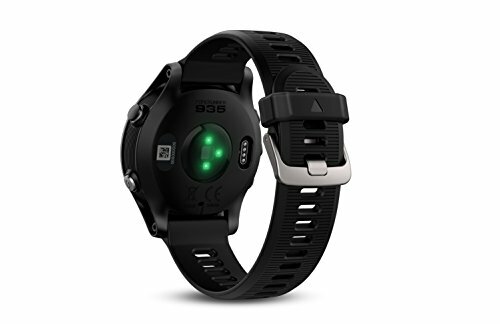 This pick is perfect for anybody who doesn’t need the extras of something like the Forerunner 935, or those who are interested in purely heart rate monitoring. The accuracy of a chest strap can’t be disputed and makes it the top pick in many ways. 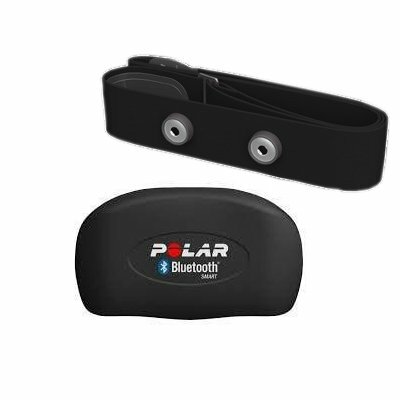 The Polar H7 Bluetooth Heart Rate Sensor is our top pick for this category and does an admirable job of tracking your stats. The transmitter in this uses Bluetooth technology, so it can interact with most Bluetooth phones and watches. There is also an app available from Polar which is free on both iOS and Android systems, again compatible with the monitor and with some extra features too. Wrist monitors usually use optical technology which is less accurate than ECG systems. ECG is the system preferred for medical uses because of its accuracy. It detects the actual electrical pulse triggered by your heart beating, making it unbeatable and spot on at all times. This level of tracking gives you unbelievable control over your work-rate and development. 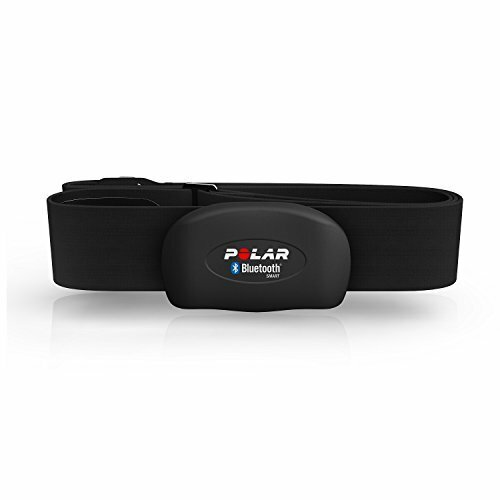 The Polar H7 Heart Monitor is comfortable to wear, holding its’ position well. A regular complaint with chest straps is that they don’t stay in place once the exercise begins. In this case you can move around as much as you like without dislodging the belt. It holds tight and does so without being uncomfortable to wear. There’s a lot of chest strap options around for running though not so many for swimming. Triathletes need both. The H7 chest strap is capable of dealing with water just fine. Keep in mind that whatever you’re transmitting to also needs to be waterproof though, and most phones aren’t. This is one of the areas where the Forerunner 935 really pipped this out too, though you can also pick up a compatible Polar watch which does the tracking for you if needed. For a highly accurate heart monitor, this strap is available at a real bargain price. It’s much cheaper than even our mid-range watch and could probably even slip into the budget price range when on sale or with special offers. As we said earlier, chest strap levels of accuracy are only really important to high end athletes. For other users, chest straps can be unnecessary and even uncomfortable. The feeling of a chest strap bothers a lot of users and it can actually limit your bodies cooling mechanisms and cause extra sweating. Also because the H7 strap is a monitor and transmitter, there isn’t any way to view the data – so you need a receiver. The receiver would usually be a phone, though this means you also have to carry the phone whilst training, and most people can’t take their phones in the water either. The Fitbit has been popular and successful from the launch of its original incarnation. 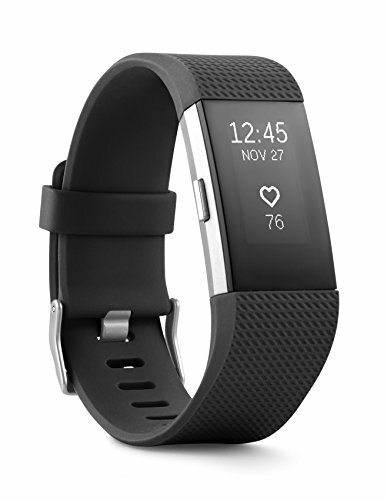 Despite the Fitbit Charge 2’s release date of September 2016, it remains a popular choice thanks to its functionality and is our top pick from the Fitbit range. Of course any chest strap with ECG technology is going to be more accurate than the Fitbit Charge 2. Do you really need that level of accuracy though? If not, this watch offers a high level of accuracy compared to other optical devices, with the convenience and comfort of a wristwatch monitor. A sleek design and lightweight materials combine to give you a comfortable heart tracker. It doesn’t get in the way or feel bulky. Most users forget they’re even wearing it after a while. Fitbit market their products as being accessible and easy to use. The large display adds to this because its easily viewable and gives a larger touchscreen area. Range of information is limited though there’s still more than just basic heart rate. Monitoring of sleep habits, steps and calories burned are just some of the extras on offer. The way this watch is designed makes it simple to use from the first try as well. The sleek design isn’t just lightweight either, it gives the Charge 2 a great minimalist appearance. Having interchangeable straps helps here too because you can pick different colors or even options like leather straps, making it totally customizable. 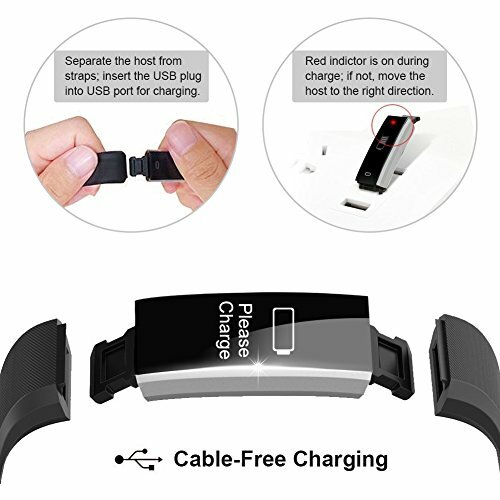 While being water resistant, the Charge 2 isn’t waterproof. It can be used for running though for swim training you’re going to need an alternative or leave the monitoring altogether. This is a big sticking point for some triathletes who really want to monitor swim performance separately. As our budget pick, I’ve selected the Letsfit Fitness Tracker. It looks similar to the Fitbit and has many of the same features, though does have a couple of drawbacks in comparison to our other choices, as you would expect from a budget item. The biggest reason why this is popular is the low price. It’s cheap enough that even if it does break or get lost after a while, that won’t really be a huge issue. You could by a few of these for the price of a good Fitbit, and way more for the price of a Garmin. Despite the cheap cost the Letsfit Fitness Tracker does a respectable job of heart monitoring, giving plenty of bang for your buck. On top of that it has extra features like a calorie counter, sleep monitoring and even limited phone connectivity. Lower price means lower quality materials and a lower level of build quality. The straps on these can start to wear down after a few months of heavy use and sometimes break. Replacements are available though and the entire watch can be replaced at a low cost if needed. The Letsfit Fitness Tracker isn’t waterproof either, so it’s only usable for running and cycling, not swimming. It’s difficult to find a budget option which offers waterproof tracking so this consideration isn’t such a big deal for the budget selection. Overall it’s important to know what you need upfront. Are you in need of highly accurate ECG monitoring? Or is optical enough for your needs? Comfort and convenience also play some role in the chest strap vs wrist monitor debate, with price being the final decider. 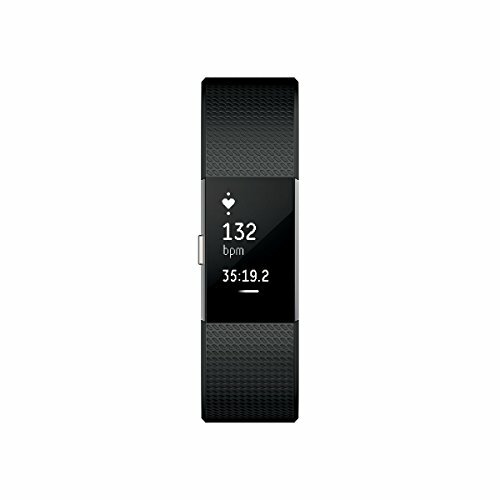 For newcomers a LetsFit Fitness Tracker will do fine, and the price difference makes this my preference over even the Fitbit Charge 2. If you do need the chest strap accuracy I’d go for the Garmin Forerunner 935 Tri-Bundle so you get the best of all categories. The level of athlete who needs ECG accuracy will also need the other features available on this watch, like GPS. The Polar H7 gives a much cheaper alternative, although you’d need to carry a phone (or alternative receiver) with you as well, and there aren’t any extra features like GPS.